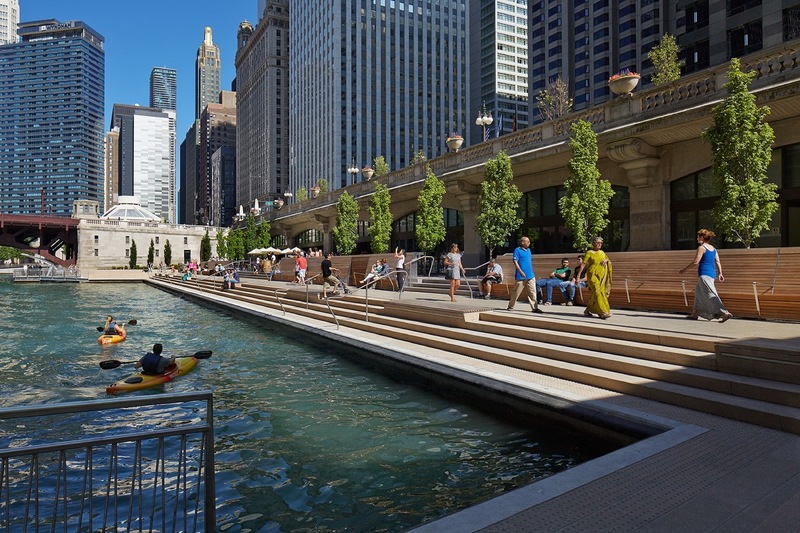 August 29, 1993 – A lengthy Chicago Tribune article seems to signal a coming rebirth for the Chicago River, a long-awaited event captured in one of the opening paragraphs of the article, “…a second life is being pumped into the 130-mile Chicago waterway. 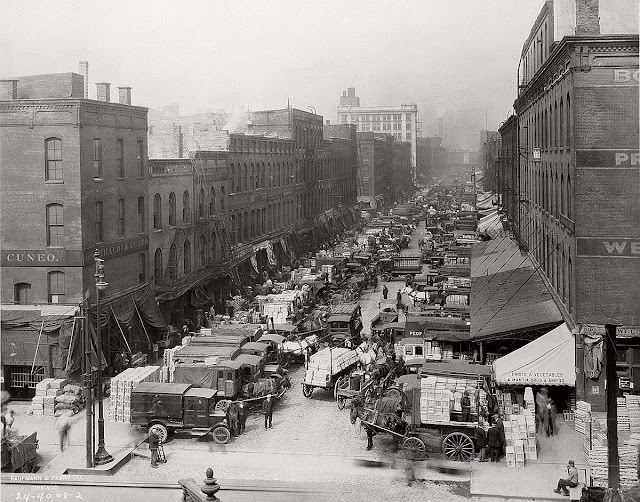 Once choked with steamboats and barges, the river—if developers and planners have their way—will be populated with pedestrians, tourists and businesses. Already being built or on the drawing board are riverfront walks, parks, gardens, apartments and offices.” [Chicago Tribune, August 29, 1993] Three months away will be the opening of a “continuous Riverwalk from Michigan Avenue to the lake.” In the coming spring the new downtown campus of the University of Chicago will open just east of Michigan Avenue. And in another year a revitalized Navy Pier will open. The city’s Commissioner of Planning and Development, Valerie Jarrett, observes, “We look at the river as a critical planning corridor … it’s just not enough that buildings have river walkways, but linkages – and it's challenging with the bridges.” Numerous projects sit on the drawing board, all of them looking at the river as being an attractive enhancement to development. River Bend includes 900 feet of river frontage; it will not be completed until 1992. CityFront Center, a 60-acre mixed-use development on the north side of the river between Michigan Avenue and the lake has begun with the completion of the 1,200-room Sheraton Chicago Hotel and Towers a year earlier. CSX Real Property, Inc., the real estate arm of CSX Transportation, Inc., owns property all along the South Branch of the river between Harrison Street to Roosevelt Road. The company’s regional director of development, Bill Cromwell, says, “All our plans incorporate the river as an active ingredient.” From Cermak Road to Sixteenth Street, the Chicago Park District is beginning to develop an eight-acre parcel on the east bank of the river for the Chinatown Riverfront Park. It will be another half-dozen years before Ping Tom Memorial Park will open along that stretch. The Park District also has a $35 million plan to renovate 100 acres of land around the mouth of the river with ground being broken in 1994 for Du Sable Park, to be developed jointly with the Chicago Dock and Canal Trust.